It’s the day after Rachel Dolezal blew up Twitter and thoroughly confused people. Who was this white woman pretending to be black, we all wondered, so black she became the president of the Spokane, Washington NAACP? Where did she come from? Well, she came, in part, from the historically black Howard University. 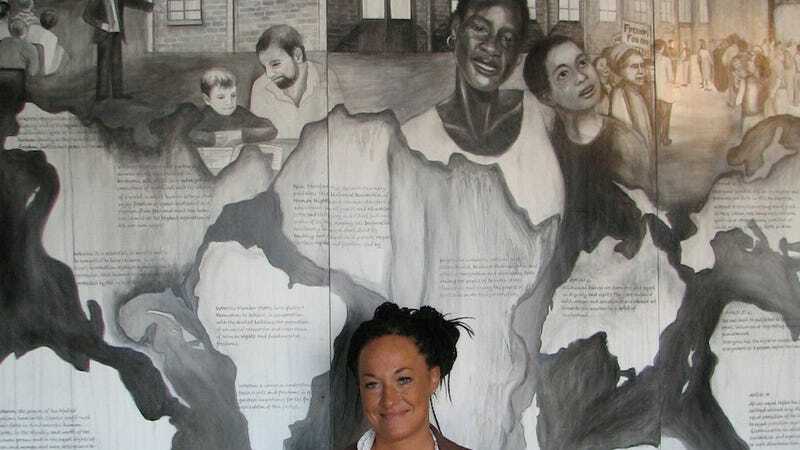 Dolezal graduated from Howard with her Masters in Fine Art in 2002 alongside an administration source at the university who spoke to Jezebel on Friday under the condition of anonymity. When I called the school to confirm Dolezal had attended and graduated from the predominantly African American institution, the man who answered the phone had no idea about the social media firestorm Dolezal had ignited but he remembered her name. Dolezal’s reverse passing—new term! new term!—would not have been tolerated at Howard, says our source along with another Howard graduate named Shannon Washington, who took a class with Dolezal in the early aughts. Besides, Dolezal looked white back then. “She had straight, blonde hair,” he said. While at Howard, Washington took an experimental studio course with Dolezal who was an MFA student-teacher at that time.